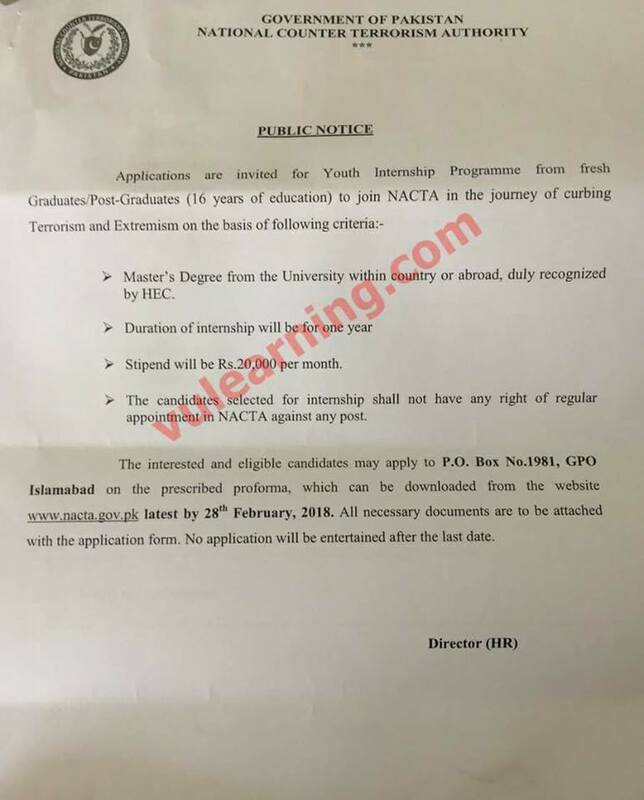 NACTA Pakistan Youth Internship Program 2018 . Last date to apply: 28th Feb 2018. Download Form from here .